We’re ready for your orders. Save energy. Eat well. Keep your freezer full. The best antidote to a crazy life – and a world gone mad– is having a freezer full of Crazy Rooster meat. The fancy French gourmet chickens are all sold. 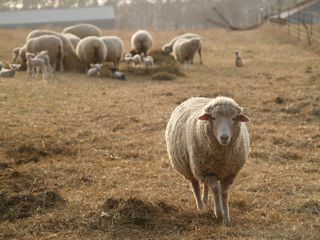 LAMB: There may be a world-wide sheep shortage, but you wouldn’t know it watching all the lambs running around at Crazy Rooster Farm. But given how fast they sold last year, it’s still a good idea to place your order now. Here is how it works with lamb: You buy the whole lamb for $210 plus the price of processing. That brings the total cost to about $285 for a whole lamb. You get a nice box of grass-fed lamb that should weigh somewhere in the neighborhood of 40 pounds. You can do the math but my calculator says it’s about $7 a pound. It might be a bit more if you want the processor to make you something special, like their award-winning summer sausage or brats. (lamb brats are amazing!) This by far is the best way to buy lamb. The cost is reasonable and the quality is outstanding. It doesn’t take up that much room in your freezer, especially considering that you’ll love it so much you’ll be eating it like crazy. Reserve your lamb today with $100 deposit. Use the Add to Cart button below to reserve your lamb order. $100 deposit for each lamb, Balance will be calculated on delivery. BEFF: This is our first year raising beef and we’re really excited. We’re bought our cows from our Amish neighbor and we’re raising them all summer on our fresh, luscious green pasture. Unlike a big commercial operation, we don’t have to grow these animals to maximize size so you’ll get a truly fine quarter of beef for a reasonable cost. A split quarter is about 80-100 pounds of meat and costs $475, including processing. If you want special cuts, hot dogs, summer sausage or patties you can customize your processing for an extra charge. It’s a lot of meat but it doesn’t take up as much freezer space as most people imagine. They should be ready some time in mid to late September. You can pick it up and visit the farm in Wisconsin or we can bring it to you for an extra $30 delivery fee. Use the Add to Cart button below to reserve your beef order. $200 deposit for each beef quarter, Balance will be calculated on delivery.